If you like those Al Capone era gangster hats, you need to wear a fedora style gangster hat by Capas headwear. The gangster hat has caught our attention for a very long time ever since the days of Prohibition and the gangster hat has been there every step of the way. 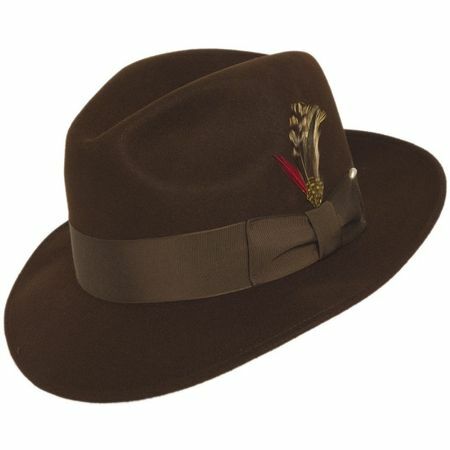 This brown color gangster hat features that pinched crown fedora style that just plain works. Whether you're in Chicago or New York, this brown gangster hat will have you changing how you look and speak see.